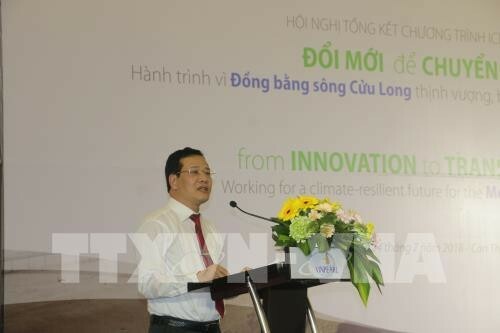 (VOVWORLD) - A seminar was held in Can Tho city on Tuesday to review the Integrated Coastal Management Program (ICMP) to respond to climate change in the Mekong Delta region. Participants reported on the outcomes of the program in the past 6 years in agriculture, fishery, and forestry. The ICMP program is worth 23 million euros funded by the German and Australian governments and implemented in 5 Mekong Delta provinces of Soc Trang, Bac Lieu, Ca Mau, Kien Giang, and An Giang. 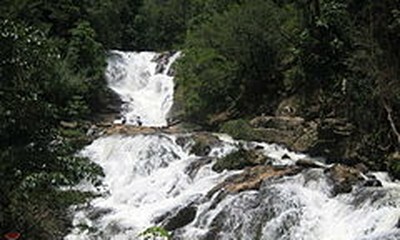 Following ICMP, the Ministry of Agriculture and Rural Development will launch another program on climate change adaptation in 13 Mekong Delta provinces for 2019-2021, as well as projects combining coastal management and mangrove restoration in Kien Giang and Ca Mau province.